Used Fiat Tipo Review - 2016-present | What Car? What's the used Fiat Tipo hatchback like? Family cars have become more refined and better equipped over recent years, but this has made them more expensive to buy. 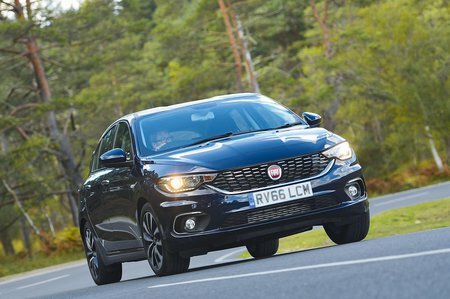 However, if you’re willing to sacrifice some refinement and you're after something practical that has a decent amount of kit and doesn’t force you to downsize into a small car, then the Fiat Tipo makes a good case for itself. In a highly competitive class, the Tipo competes with more mainstream rivals such as the Seat Leon, Skoda Octavia and Vauxhall Astra, wooing potential buyers with a big boot, decent interior space and some strong engine options. There’s a choice of five engines: two 1.4-litre engines (one with a turbocharger and one without), a 1.6-litre petrol with an automatic transmission and two diesels – a 1.3-litre and a punchy (if a little noisy) 1.6-litre. The base petrol and diesel would be fine around town but will struggle on the open road. If you need to tackle the motorway regularly, then the turbocharged 1.4 petrol and larger 1.6 diesel will cope best. Entry-level Easy spec has a decent amount of standard kit with air-con, electric front windows and a DAB radio. Easy Plus adds alloy wheels, electric rear windows, rear parking sensors and a 5.0in infotainment system. Top-spec Lounge isn't worth forking out for because it only has a couple of extra luxuries and uses the same tiny 5.0in infotainment screen that's difficult to use on the move. Some of the materials used in the interior feel quite cheap, with hard, scratchy plastics on the doors and centre console. The soft-touch dashboard blends seamlessly into the cheaper stuff since it uses a similar grain. 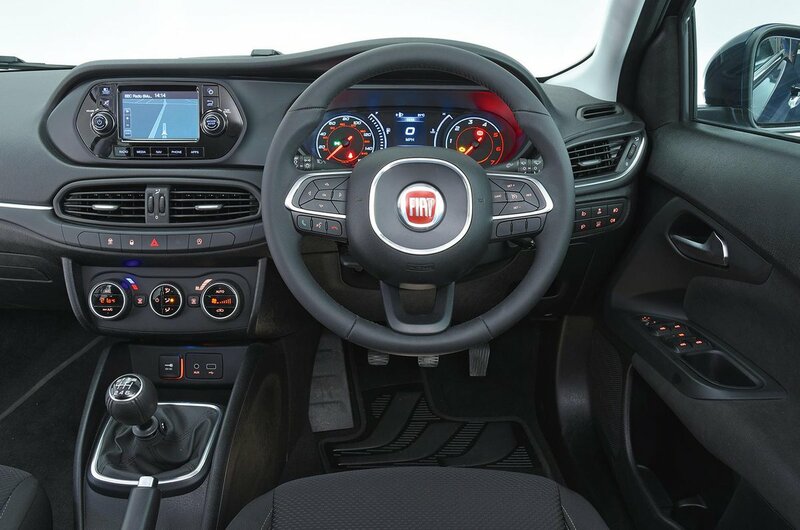 Most of the switches and dials come from other Fiat cars, giving the inside a very generic look. The same can be said for the way the Tipo drives. There’s been some laudable effort put into the suppression of suspension noise, but the ride becomes fidgety over broken surfaces despite the soft suspension. The steering is quite heavy at slow speeds (although there is a ‘city’ mode to lighten it) and it’s quite vague at higher speeds with a strong self-centring action to it that makes it feel gloopy. Wind and road noise are more noticeable at motorway speeds than in some rivals.